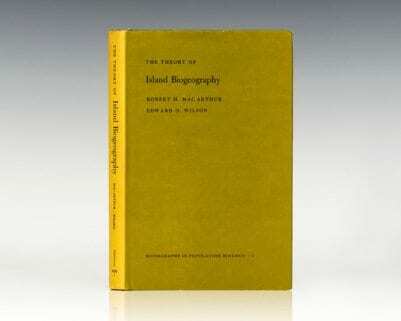 First edition of the Pulitzer Prize-winning scientist’s autobiography. Octavo, original half cloth. 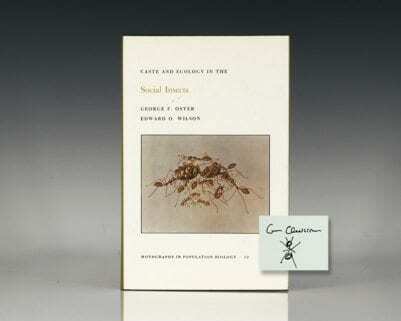 Signed by Edward O. Wilson on the title page, who has drawn an image of an ant. Fine in a fine dust jacket. 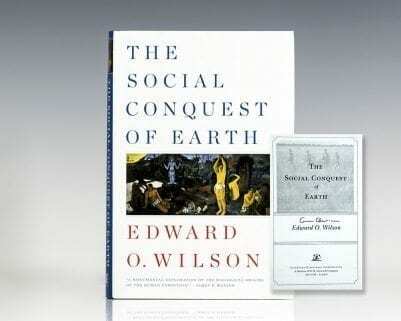 "Most children have a bug period," writes Edward O. Wilson. "I never grew out of mine." 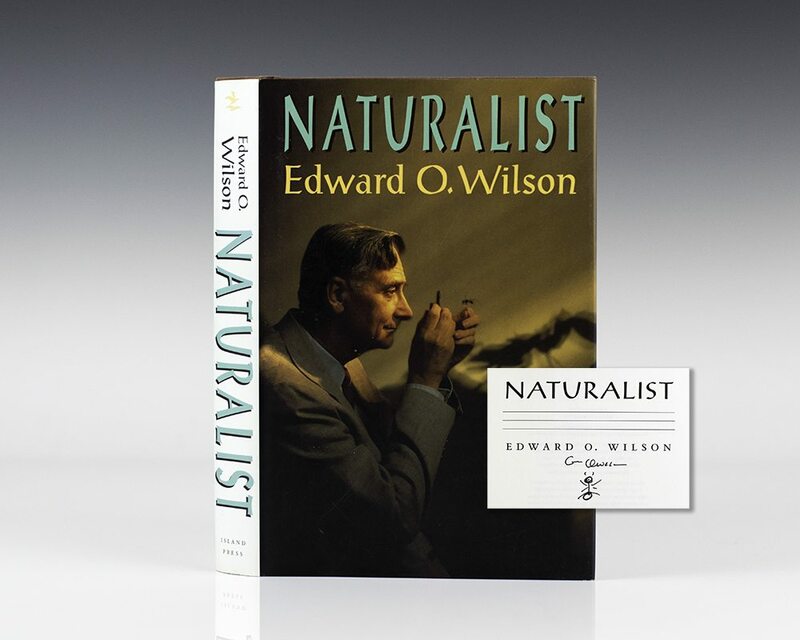 Winner of two Pulitzer prizes, pioneer in sociobiology, distinguished entomologist and teacher, Wilson has written an absorbing memoir that charts his development as a scientist. From the age of seven, he wanted to be a naturalist; an accident that left him blind in one eye determined his field, and he settled on ants. Wilson recounts with affection his student days at the University of Alabama. In 1951 he enrolled at Harvard to complete his Ph.D.; there he began to study the evolution of social ecology among animals. Memorable field trips-to Cuba, Central America, the South Pacific-led him into new disciplines (biogeography and biodiversity). Noting that he has been "blessed with brilliant enemies," he gives a lively account of academic infighting between molecular and evolutionary biologists during the 1960s. 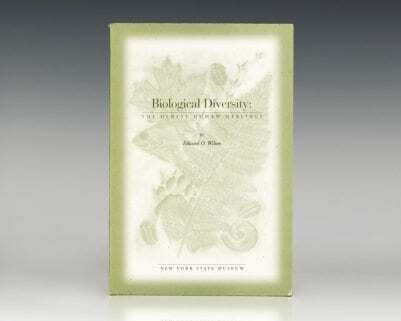 Wilson discusses his collaboration with Bert Holldobler and the controversy that arose from the publication of Sociobiology: The New Synthesis in 1975. 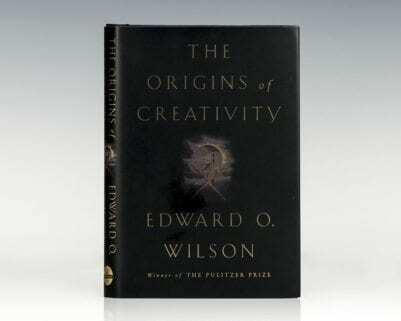 Wilson's memoir gives a rare glimpse into the evolution of scientific theory. Clinton, Hillary Rodham; Bill Clinton. New York: Simon and Schuster, 2003. First edition of the former First Lady’s autobiography. Octavo, original boards, illustrated. Inscribed by Hillary Rodham Clinton and signed by Bill Clinton on the title page. Fine in a fine dust jacket.